After a delicious start with the no fire chocolate balls, I decided to share this delicious Mixed Rice Variety, this time made with cabbage. While most time cabbage reeks, surprisingly you won’t even find the smell from this time. 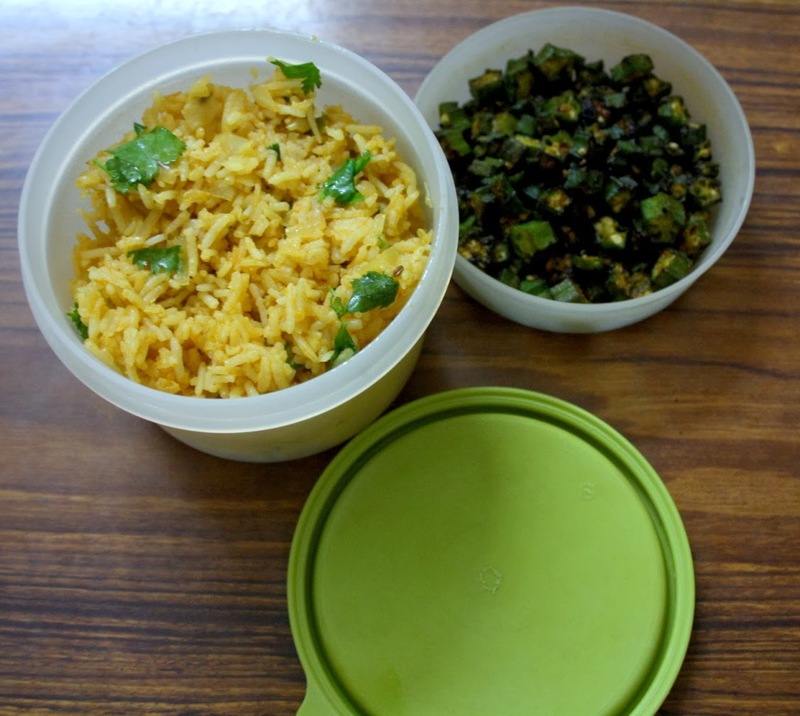 It’s been a while since I updated my Lunch Box Series, though there have been dishes that had been packed for lunch. I have been very particular about my lunch box being featured. So here is my lunch box again with the rice and vegetable I took to work. When kids and hubby were away last week, I enjoyed Amma’s cooking and planned extensively on cooking new stuff that could be clicked away. Infacy hubby dear had given strict orders on making the best of the time and make posts. Well it was hard to cook with nobody at home. However we still managed to make something interesting. As I was busy with Bake-a-thon posts, and baking, Amma was busy making my lunch. She made this Masala Cabbage Rice from some cookery show that she saw or maybe some clipping, I am not sure which. The rice tends to be quite spicy, so you can control it with the way you chop your green chilies or amount of red chili you use. This goes for my Cooking with Cookbook Challenge, it’s yet another wonderful group I have in my CCC members. It skipped my memory to do the announcement however we do have this on steadily! Wash and soak rice, Cook and keep it ready. Best would also be to use left over rice. In a pan, heat oil and saute onions. When they start turning colour, add ginger garlic paste. finely chopped green chilies. Then add shredded cabbage, salt, turmeric powder. Simmer and cover with lid. Cook for 5 mins. After five mins, add red chili powder, coriander powder, garam masala, curds. Cook till moisture leaves. Make sure the masala is dry. Now add cooked rice add to the masala and mix everything well. Finally add the chopped coriander leaves and switch off. Valli love the cabbage rice. Love the flavours and if you say it does nor reek of cabbage thats awesome for me. Loved this combination. Never tried it. Surely a nice variation in the regular lunchbox fare. We can never have too many rice varieties! 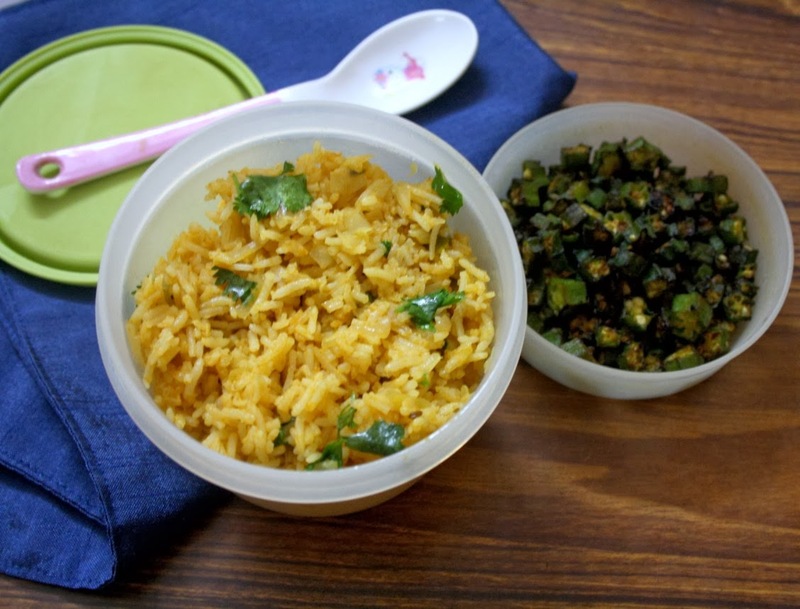 Love the flavors in this Cabbage rice, Valli. Love cabbage in any form and in any dish! This is a lovely cabbage rice dish!